Irier,” or VLCC. Calling an oil pumps. In reality, the VLCC – along with its ? ciency Point,” or BEP. A centrifugal “supertanker” cousin, the “ultra large pump that is able to function between crude carrier” (ULCC) – plays a large 80% and 110% of its BEP is operating role in the transportation of crude oil within a tolerable ef? ciency range. 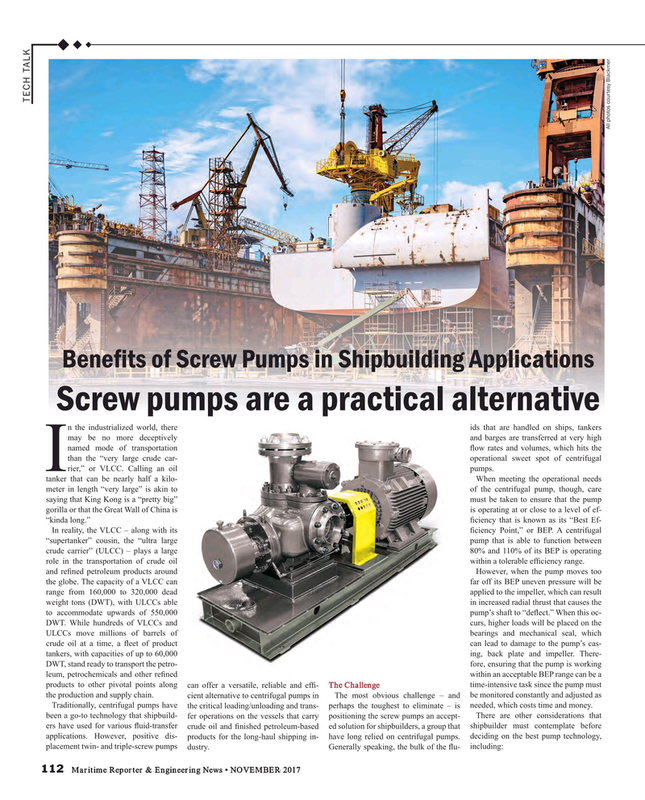 Traditionally, centrifugal pumps have the critical loading/unloading and trans- perhaps the toughest to eliminate – is needed, which costs time and money.